Sterling hit day's highs against the dollar before quickly retreating in choppy trade on Wednesday, with Britain's formal triggering of its departure from the European Union providing the currency with no clear direction. 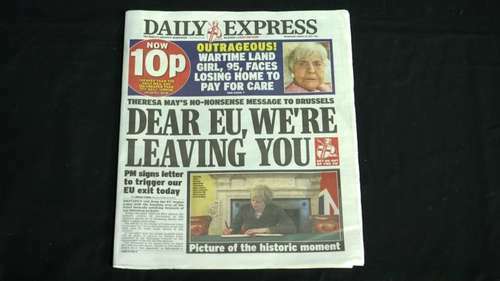 In a volatile day of trading, the pound earlier touched an eight-day low of $1.2377, before recovering to trade as high as $1.2478 after the confirmation that Article 50 - which kickstarts two years of negotiations between Britain ant the EU - had been triggered. By 1330 GMT, though, sterling had slipped back to $1.2411, leaving it down a third of a percent on the day and in the middle of the $1.20-$1.28 range it has broadly traded in over the past six months. 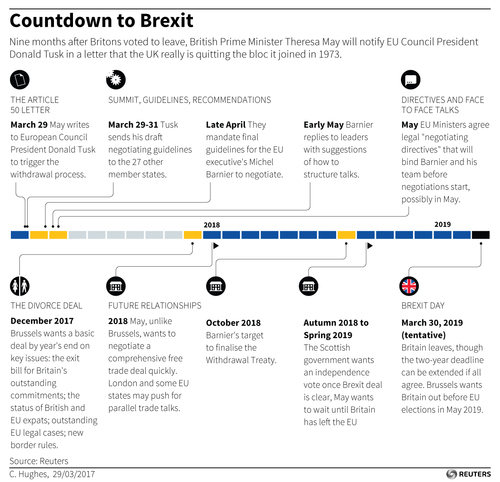 Track the Brexit effect, by the numbers. 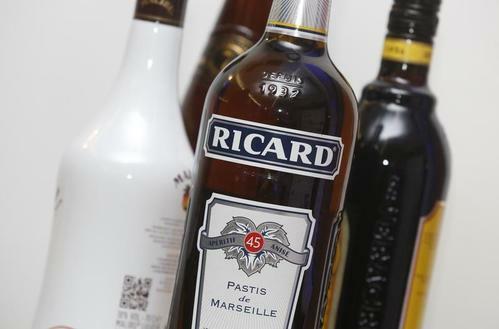 Reuters UKPernod Ricard is raising the prices of its spirits and wines in Britain to protect margins against a slide in the pound stemming from the country's vote to leave the European Union. 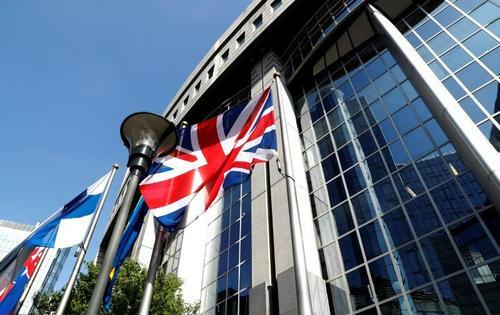 Brexit has officially begun on Wednesday after UK Prime Minister Theresa May sent Brussels a letter formally notifying the EU that it is beginning the exit process. UPDATE: No deal on rights of EU citizens in Britain and vice versa means no deal at all - EU Parliament president. 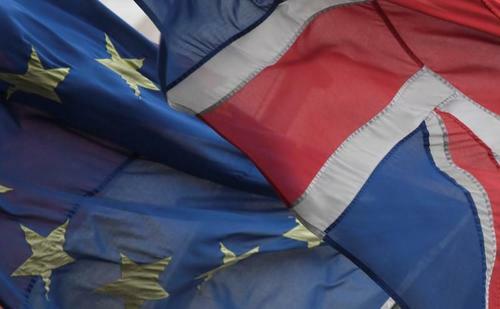 How will #Brexit affect trade? We are #FacebookLive with Professor David Collins, an expert in international economic law at City University. 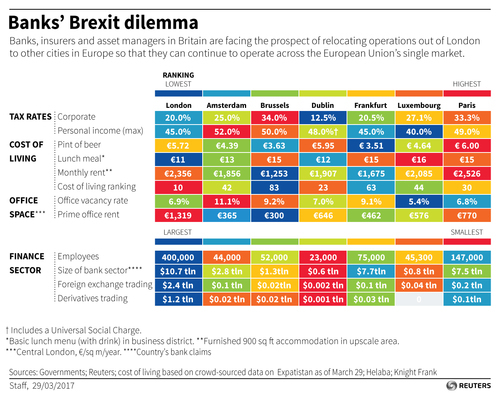 Reuters UKBanks in Britain have tried to reassure their London staff over possible Brexit disruption, including a shift in jobs to continental Europe, as Prime Minister Theresa May triggered formal EU divorce proceedings on Wednesday. Brexit Britain: Buy or sell? Reuters UKTheresa May's Brexit letter to European Union President Donald Tusk will please EU leaders by sounding constructive and acknowledging Britain must settle obligations before leaving. But the prime minister also made some tougher demands. 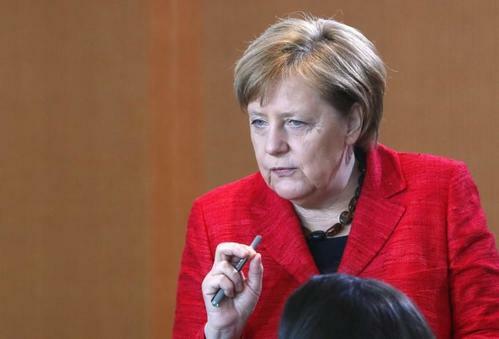 Reuters UKGermany will strive in Brexit negotiations to make sure there is as little disruption as possible to the lives of European Union citizens living in Britain, Chancellor Angela Merkel said on Wednesday. 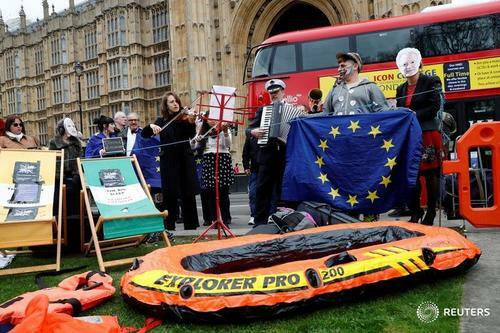 Reuters UKFailure to strike a trade deal with the European Union by a two-year deadline would force Britain to adopt World Trade Organization arrangements, bringing with it a host of new negotiations and complications. 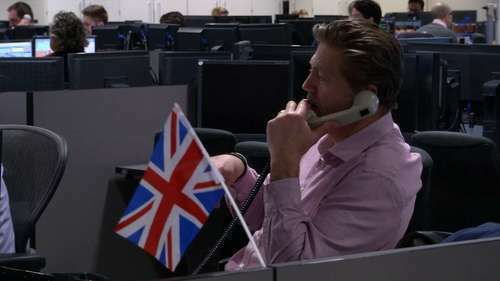 Reuters UKBritain's economy is sending mixed signals about its readiness for Brexit just as British Prime Minister Theresa May launches the process of pulling the country out of the European Union. What can I add to this? We already miss you. 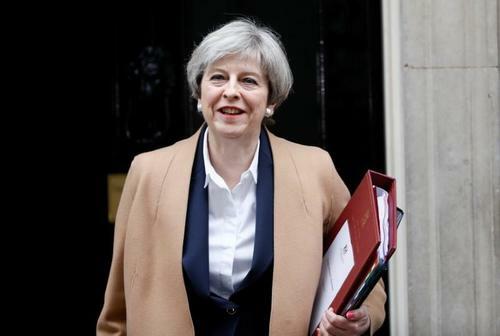 Reuters UKBritish Prime Minister Theresa May called on the rival political parties in Northern Ireland to come together and form a regional government so their voice can be heard in Brexit negotiations. 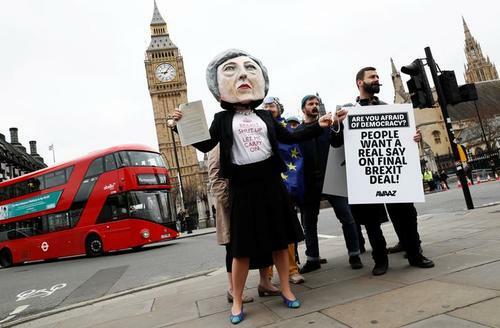 Reuters UKBritain is still willing to walk away from the European Union with no Brexit deal, a spokesman for Prime Minister Theresa May said on Wednesday. Prime Minister Theresa May has triggered Article 50, starting the #Brexit process. Join us #FacebookLive as we talk to Westminster reporter William James about the latest developments in parliament. 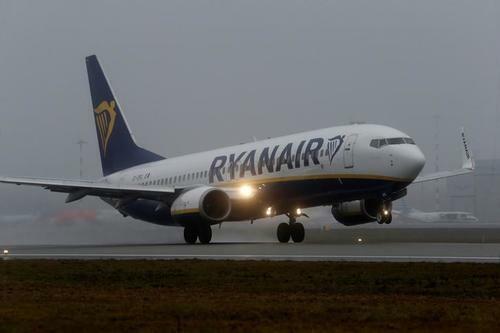 Reuters UKCarmakers and airlines easyJet and Ryanair demanded Britain secure a Brexit deal which preserves their access to Europe, warning any barriers to trade could risk the future of car plants and ground flights between the UK and the continent. 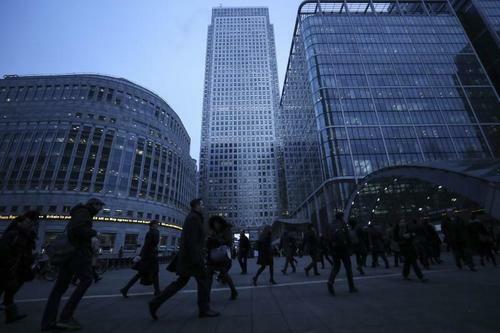 Moody's credit ratings agency said on Wednesday it expected Britain and the European Union will eventually strike a deal that preserves most - but probably not all - of their current trading relationship after Brexit. "However, such an agreement would likely take years of negotiation, and there are clear downside risks," Colin Ellis, Moodys chief credit officer for Europe, said in a statement. "Substantial new tariff or non-tariff barriers, in particular, would have an adverse impact on UK sectors that trade extensively with the EU market." 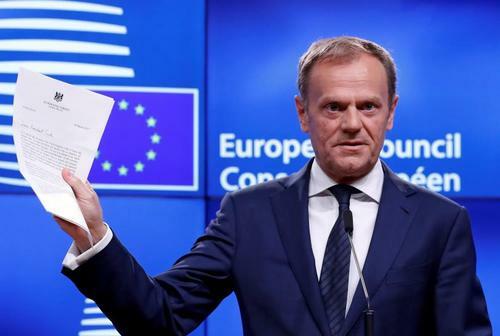 Reuters UKEuropean Council President Donald Tusk told reporters on Wednesday that Britain's formal exit notification made it an unhappy day for London and Brussels and that difficult talks would simply be about limiting damage for both sides. 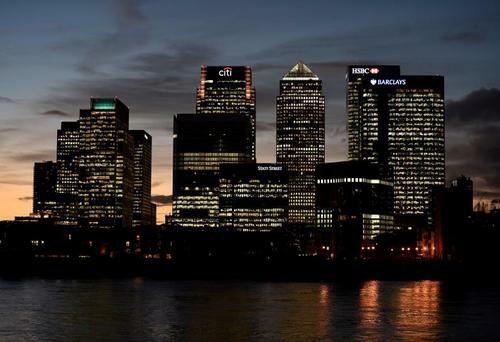 Reuters UKBritain's financial sector is drawing up proposals on how it could still serve EU clients after Brexit, even as firms begin establishing new operations on the continent to keep access to the European market. 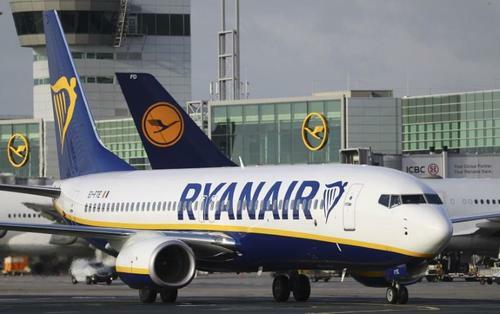 Reuters UKFlights between Britain and the European Union risk being suspended in 2019 if Britain does not prioritise a new aviation deal in Brexit negotiations, Irish low-cost airline Ryanair warned on Wednesday. 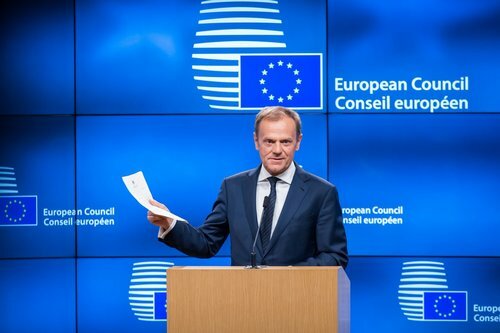 Reuters UKThe European Union is unhappy Britain is leaving, European Council President Donald Tusk told reporters on Wednesday after receiving formal notification from London, but the other 27 states are now more united and will protect their interests in "difficult negotiations" before Brexit in 2019. 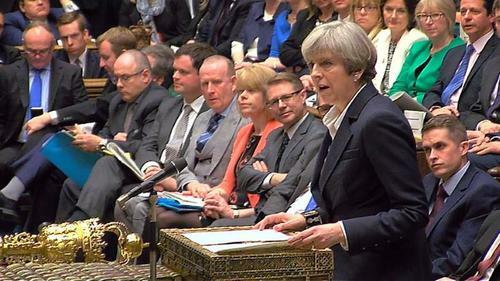 No deal in Brexit talks between Britain and the European Union is not an option, the country's car industry body said as Prime Minister Theresa May formally triggered divorce proceedings from the European Union. In January, May said: "I am equally clear that no deal for Britain is better than a bad deal for Britain", but carmakers fear that without a formal agreement, UK-built cars would face export tariffs of up to 10 percent, risking the future of plants. 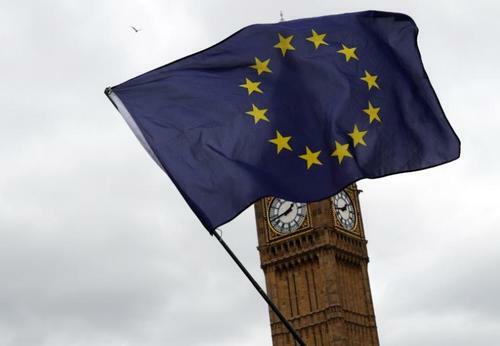 "We will continue to work with government and our European counterparts but no deal is not an option," the Chief Executive of the Society of Motor Manufacturers and Traders Mike Hawes said on Wednesday. Reuters UKEuropean shares start positively but sterling wobbles as Brexit casts a shadow over currency markets after UK prime minister Theresa May presses the formal trigger on Britain's divorce with the EU. Ivor Bennett reports.